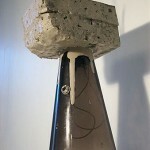 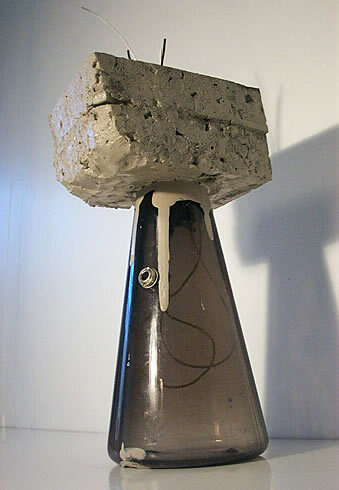 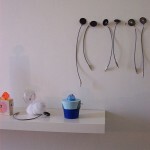 Sound Objects are hand sized sculptures (made from collected and rearranged materials) animated by sound elements. 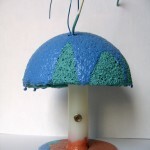 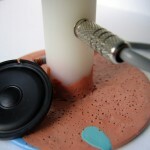 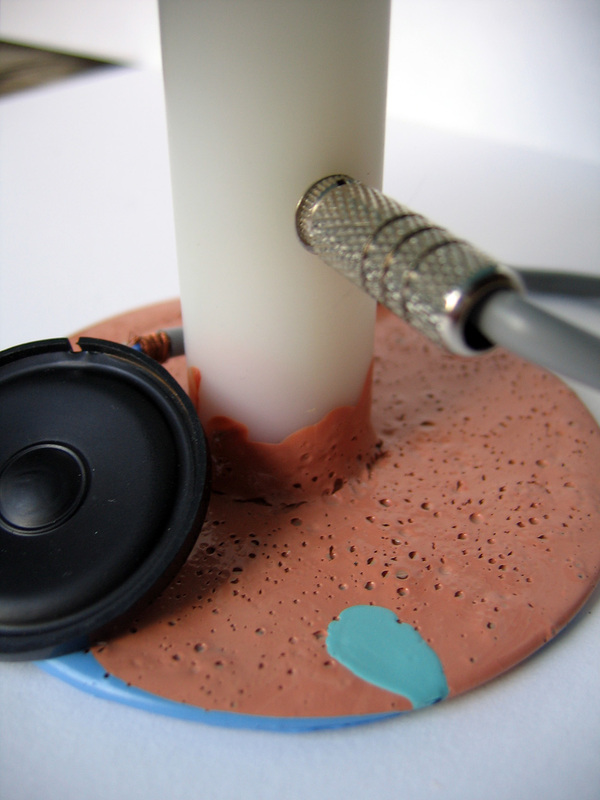 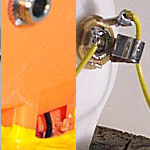 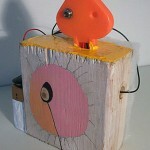 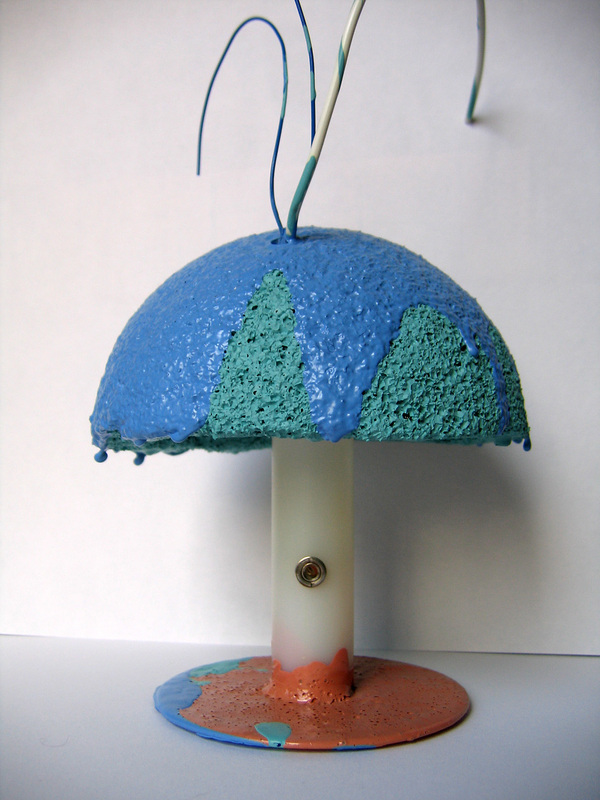 Each object contains a 1/8 inch jack which the viewer is invited to plug into with hand made plugs/speakers. 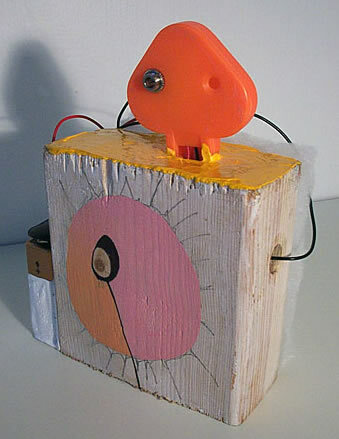 In order to activate the sound (by mercury switch) the viewer must pick up the object and move it. 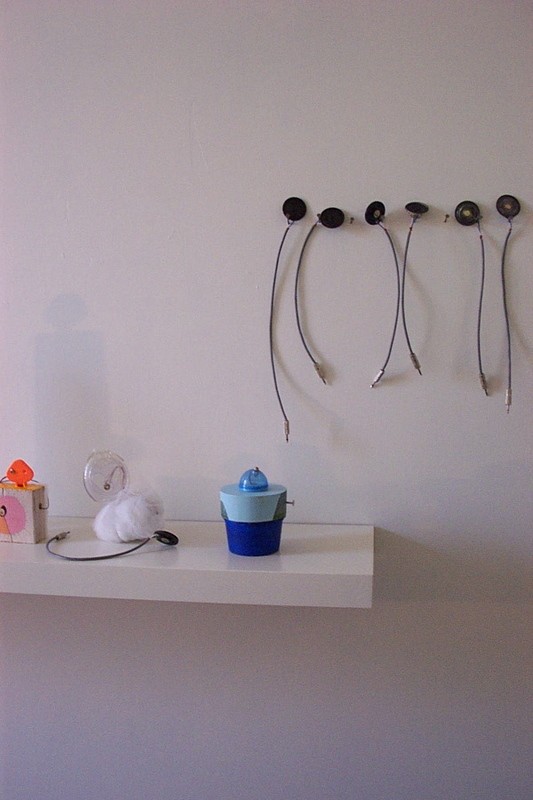 My goal is to force the viewer to touch, move, and familiarize themselves with the objects through close contact.